True friends bring immeasurable joy. Here is a fantastic review of Tim Marks’s book from my friend Oliver DeMille. Oliver describes what many have felt when reading Tim’s book. Rarely, if ever, has a book combined the strengths of autobiography with success thinking as well as Voyage of a Viking has. I am proud of Tim and Amy Marks for their accomplishments and thankful for this powerful book released within the LIFE business. Enjoy the review. Years ago I gave a speech at a business convention. I’ve done a lot of these, so I don’t remember every detail or venue, but several really stand out as memorable. On this occasion, the big arena had many thousands of people, but due to construction there was only one way to the stage and we had to get there early and sit on the wing of the temporary stadium stage with all the speakers for that session. A construction boss walked us all through together to ensure that we were safe and avoided the danger areas. This turned out to be a real blessing to me, because the speaker who shared the session with me changed my life. He spoke just after me, and because of the special construction circumstances I had to stay after I spoke and listen to what he had to say. I think if I had been scheduled after him I would have been busy thinking about my own speech and not listened closely to his message. Thankfully, I was highly motivated after my speech, and I listened carefully to every word he said. In later years, after I became an author, my brothers made it a standing joke to laugh about how often they’d be in the middle of a farm project (hauling hay, moving wheat into bins, building fences, shearing sheep, exercising the horses, etc.) only to notice that somehow I’d slipped away from the work and was nowhere to be found—I was nearly always high on a haystack in one of the barns reading books by L’Amour or some other author. Marks’ Voyage of a Viking book would have fit right in. 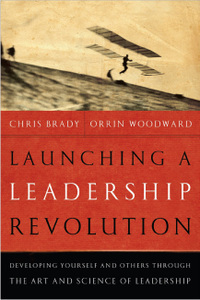 As Marks himself says about this book: “This is a no-holds-barred discussion on the speed of the leader determining the speed of the group.” This book is fun. 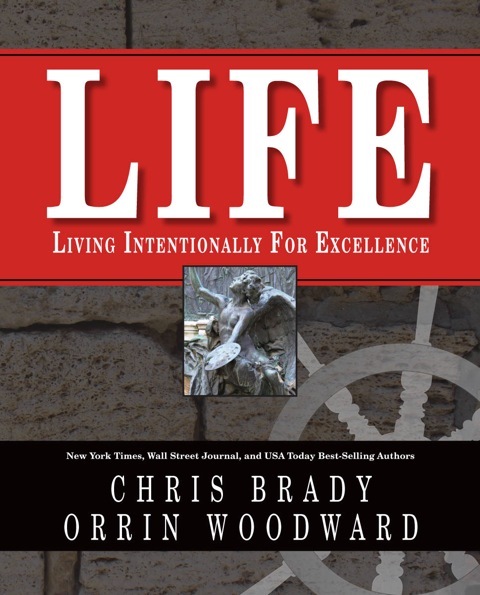 It is about finding yourself as a leader by dedicating your life to serving others, and it is about the adage, as articulated in the foreword by Orrin Woodward, that example in leadership isn’t the main thing; it’s everything. Oliver DeMille is the author of A Thomas Jefferson Education, Leadership Education, The Student Whisperer, The Coming Aristocracy, FreedomShift, and other books on freedom and leadership. George and Jill Guzzardo are LIFE Founders and leaders of leaders. When I first met George, he was living as far away from civilization as humanly possible. Indeed, George and Jill moved from the hustle and bustle of Chicago to the backwoods of the Michigan Upper Peninsula, just outside Ironwood. The Guzzardo’s goal was to get away from people and enjoy time together working in the health field and enjoying nature. Man, however, may make his plans, but it’s God who directs his steps. In other words, destiny intervened. Ed, Jill’s older brother, happened to be my engineering mentor and best friend. Ed and I worked together on multiple engineering projects. 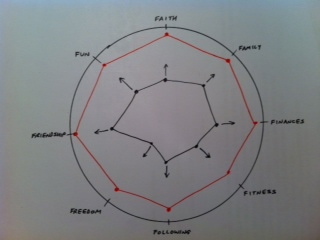 When I started listening to CD’s on community building, I realized the potential and shared this with Ed. Ed agreed, driving 10 hours in the same state (that’s how far into the backwoods the Guzzardo’s lived!) to share the idea with George and Jill. Jill was interested immediately, George however, was another story. 🙂 He ignored Ed, watching the hockey game as Ed shared the concept with Jill. I remember Ed sharing his thoughts, saying, “Jill is excited, but George is going to take some work.” This is a common response. Inside of everyone is a dream pilot light. Sadly, though, most people’s dreams have been rained on so much, they believe it’s safer to bury their dreams than risk further disappointment. Thankfully, George loved Jill enough to check it out. After reading his first book, he became a man obsessed with the idea of getting free. True, the odds were stacked against him in so many ways, having isolated himself in the backwoods where there were hundreds of trees for every person. Moreover, George and Jill were already extremely busy between jobs, hobbies, and raising their son. But, when a person wants something bad enough, the obstacles must give way. The Guzzardo’s are champions today, not because everything was easy for them. On the contrary, if I were to define the Guzzardo’s with just one of my resolutions, I would offer Adversity Quotient because everything was a struggle for them. With that said, nothing keeps this couple down! Several times, in the early days (before team approach), they would start groups and lose them. On top of this, Jill’s brother, and my best-friend, died suddenly of a pulmonary embolism, blocking oxygen into his lungs. This was a tragic loss of a great man. Most people would have become bitter, instead, George and Jill, became better. Laurie and I had front row seats watching the transition of this couple into the leaders they are today. When the Guzzardo’s made mistakes, they read more, listened more, and applied the principles to grow. Many will listen to CDs, less will read consistently, but only the few will apply the principles learned. The Guzzardo’s were part of the few. I watched George go from barely reading to reading mighty tomes on history, theology, and government. This is on top of his personal development reading and listening! In fact, the rest of the PC refers to George as the professor for his amazing ability to read and comprehend the classics. As the Guzzardo’s began to grow personally, they also grew professionally. Despite driving several hours or more to share the opportunity, the Guzzardo’s teams grew. Their teams spread quickly into Wisconsin, eventually across the USA and Canada. Today, the Guzzardo have thousands of people attending events across North America and George and Jill reside in a beautiful house in Tuscon, Arizona. They are living their dreams – the same dreams shared many times to Laurie and I as they were growing on their way to victory. 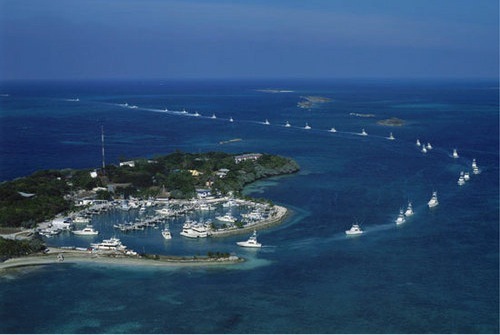 Reflecting back, one of my proudest George Guzzardo memories was during our costly litigation with our former supplier. I watched the Guzzardo’s propose surrendering their dream property, rather than surrender their involvement with TEAM. This is nothing short of modern-day heroism. In today’s pragmatic world, where nearly everyone does everything for their own perceived advantage, I watched the Guzzardo’s voluntarily sacrifice for the good of the community. This story, thankfully has a happy ending! As it turned out, with the TEAM’s settlement of all disputes, the Guzzardo’s were able to retain their dream property in the mountains overlooking the Tuscon valley. Laurie and I are proud to have George and Jill Guzzardo as life-long friends and LIFE Founders! Their commitment to growth, change, and leadership is nothing short of inspiring. By setting the example for their team, the Guzzardo’s have attended many job-optional parties across North America. There are many blessings from our business, but in my opinion, by far the greatest rewards are the relationships formed with true leaders like George and Jill Guzzardo. Tribes are groups of people with common interest, goals, and history together. The longer I build communities, the more I am convinced that the tribes within the community are one of the keys to restore Western Civilization’s culture. LIFE draws people together through shared dreams and goals, providing a sense of belonging and leadership principles to live by. This simple act of community is becoming a revolutionary activity in today’s atomized society. For without a strong sense of community, people cannot fully develop their potential and purpose. The objective of LIFE is to learn truth in the 8F’s of life and live these principles within the community. The TEAM Community ensures the principles are not merely ivory tower teachings, but applicable to daily life. Can you imagine the benefit of a leadership tribe where you can learn leadership and life principles while developing tight relationships within a community of other like-minded people? Several years after Bowling Alone came out, and several small group programming attempts later, I came across a book that reflected and responded to these ideas in some fresh and insightful ways: Urban Tribes: A Generation Redefines Friendship, Family and Commitment by Ethan Watters. It challenged the assumption that cultural capital would be recovered through official institutions and efforts, and suggested instead, that it may reorganize through unofficial communities he called urban tribes. Watters, a single, never-married San Franciscan observed how this sense of trust, community, and belonging — this social capital — was all around him, but in less formal social networks that were becoming the new superglue of our time. As Watters surveyed his community and city, he noticed that his was a rich relational world of high social capital, and that his tribe had a deep sense of community. There was a real sense of belonging and desire to help each other in mutually beneficial ways. Although disconnected from the previous generation’s traditional structures and official civic institutions, people were utilizing new technologies, schedules, and freedoms to form organic capital among themselves. Others are noticing the phenomenon as well. Journalist Howard Fineman highlights the cultural and ethnic dimensions: “As neighborhoods and schools become more diverse, marriages become more mixed, and social hierarchies break down, old lines are getting blurry. Voluntary tribes are a way of re-creating a sense of community.” So what is an urban tribe? And is this a sociological opportunity for the church to consider? Urban tribes are the social networks of friends we build in and around cities. They often consist of people who are single well into their twenties and thirties and who form a new kind of family unity that functions like traditional families used to, in terms of support and structure. Each tribe builds its own culture over time, through weekly rituals, shared history, language, insider jokes, weekend trips, and relational support. They screen potential mates, loan each other money, provide housing help, and even start businesses together. These tribes owe their existence to some of the major shifts that in many ways frame this generation. 1. Displacement. People are moving from their places of birth to college, then cities, and then other cities to pursue careers in industry centers and rarely resettling in their places of origin. 2. Freedom. People are getting married later than any generation in American history and have less family responsibility than either parents or grandparents. Their time and resources are primarily for themselves. 3. Loneliness. This loss of family, displacement, freedom, and need converge to create a hunger for community that is greater than their parents. 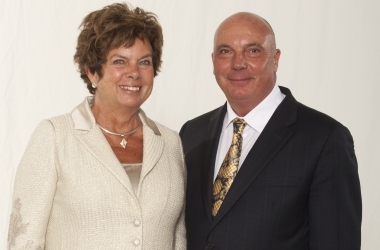 Today’s featured Life Founders are Claude and Lana Hamilton. The Hamilton’s home is one of the largest in their Canadian province, which isn’t shocking to me since they have one of the largest dreams in the province also. Neither Claude nor Lana come from wealth, so how did this young couple achieve so much with so little? Simply put, they joined a leadership community, learned principles that allowed them to rise to their potential, and acted upon it. 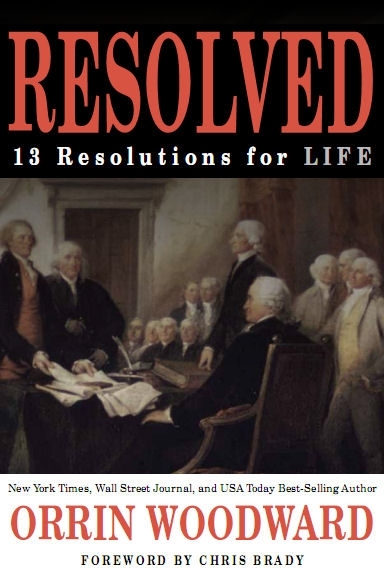 With the release of my new book RESOLVED: 13 Resolutions For LIFE, I have been eagerly anticipating the reaction of leaders around the globe. Writing a book is an arduous task, requiring many thankless hours of time alone to think and write a labor of love. However, when it’s released and respected leaders from around the globe share how the book inspired them, it makes all the effort worthwhile. 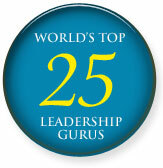 Here are a several examples of the comments I have been hearing from top leaders. Great idea, Josephine. 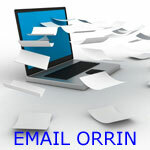 I am reading “Resolved” by Orrin. This book, I believe, will be a classic. I bought a copy for each of my key leaders. Each week we have a call to discuss a chapter. It is a playbook for building a foundation in yourself that can build a tremendous culture in your family, team, and community. And btw, this is not a paid endorsement! Oliver DeMille is one of the most respected educators in the country, having written the classic book, Thomas Jefferson Education. This book initiated a revolution in the home schooling movement. His talk at the LIFE major impacted thousands of people, being one of the highlights of the entire weekend! I have met few people who read more books than Oliver so when I received his thoughts on my new book, I was honored. When a principle-centered man and friend of his caliber is impacted that lets me know my labor wasn’t in vain. 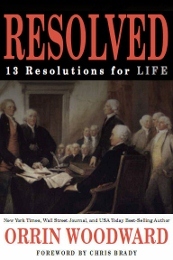 builds on Benjamin Franklin’s and George Washington’s personal resolutions. character trait of leadership, and highlights of a leader who followed it. again felt so connected to your work when I read the Will Smith chapter. had him as your example of programming the elephant. decline are wow! This book is just outstanding. As I said, another home run! excited to read it again. True friends begin as companions, but soon go further, developing a love and respect for one another. Author Fred Smith shares a poignant description of love, “Love is willing the ultimate good for the other person.” Only deep friendship will build loving bonds of this magnitude. C.S. Lewis shares the process of discovery from companions into friends, “Friendship arises out of mere Companionship when two or more of the companions discover that they have in common some insight or interest or even taste which the others do not share and which, till that moment, each believed to be his own unique treasure (or burden). The typical expression of opening Friendship would be something like, ‘What? You too? I thought I was the only one’. . . In this kind of love, as Emerson said, Do you love me? means Do you see the same truth? – Or at least, ‘Do you care about the same truth?’ The man who agrees with us that some question, little regarded by others, is of great importance, can be our Friend. he need not agree with us about the answer.” There is an indescribable joy in the discovery of, and being discovered by, another human being, providing a brief respite from the loneliness of life. Emerson pinpointed the thought, writing, “The glory of friendship is not the outstretched hand, not the kindly smile, nor the joy of companionship; it is the spiritual inspiration that comes to one when you discover that someone believes in you and is willing to trust you with a friendship.” Aristotle distinguishes between genuine friendship and two other counterfeit types – one founded upon utility, the other upon pleasure. Friendship based solely upon utility, like the mailman, survive only as long as both parties receive benefit, while a friendship based only upon pleasure, like golfing buddies, end when one party no longer finds the activity pleasurable. Genuine friendship, on the other hand, is based upon something more enduring, according to Aristotle, “It is those who desire the good of their friends for the friends’ sake that are most truly friends, because each loves the other for what he is, and not for any incidental quality.” Genuine friendship then, will last as long as both parties remain committed to virtue, since virtue desires good for his friends as much as for himself. But virtue does’t signify lack of fun. The best of friends laugh often and heartily. Just as one can tell a man’s character by his ability to laugh at himself, so in a friendship, one can tell the quality of friends by their ability to laugh at each other. Not a derisive or condescending laughter, but simply one that acknowledges the imperfections inherent in the human condition. Any person or friendship that cannot laugh at itself isn’t real. True friends enjoy one another’s company. When a person finds someone, who can help him become better while enjoying fellowship, he is on his way to developing a true friend. Each person should be this type of friend and seek a friend of this caliber, in order to fully enjoy life’s experiences during his pilgrimage on earth.